With the tech revolution we are witnessing now, which began in the beginning of the millennium, and the transition from computers to laptops to mobile & tablets, it became necessary to learn the skills needed for using these technologies. Whether you are a student, a university student or an employee of a government or private sector, you deal almost daily with a computer and its applications. The ICDL certificate has been created to cover all these skills related to technology, and it gained huge demand and wide spread for nearly 20 years. Even as the focus shifts from computers to telephones, there is still a crucial need to learn the basics of the Internet, e-mail and deal with various office programs regardless of the device used, which makes the certificate still retain its value locally and globally. 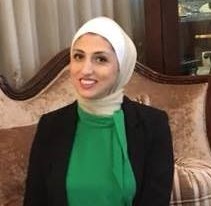 Edraak, and in collaboration with Specto, the ICDL accredited representative in ten countries in the Middle East and North Africa, has created this specialization: ICDL-Base, with the possibility of adding other levels later to cover all ICDL certification subjects. This specialization consists of 4 separate courses covering the official ICDL accredited curriculum and has been prepared and prepared in a way that focuses on practical application directly for greater benefit. To facilitate the learning process and to complete all ICDL-Base requirements in a timely manner for everyone, two courses will be offered together in January, and two other courses in February. There will be a week between the two months, so learners can prepare & review materials studied and get ready for the official exam. As for the topics of these courses, we will start with the first course, Computer Essentials, will be an introduction to the world of information technology, we discuss how to deal with the computer and all its components, operating systems and mainly Windows, and one of the most important things we will cover in this session is understanding the importance of protecting data and hardware from malware, the importance of data backup, we will also not forget to recognize the considerations related to green IT and user health. The second course will be about Internet Essentials, and how to use the Internet safely, dealing with browsers and websites. Using the Internet also requires learning how to handle e-mail, whether on the web like Gmail or on a desktop program such as Outlook, How to send and receive e-mail according to international best practices. One of the most popular programs in the world is Microsoft Word. It is impossible to find someone who has never dealt with a text editor, whether it is Word or Google Docs, so the third course will be only focusing on Word, covering everything related to dealing with text documents, we will also learn the best way to insert images and tables while maintaining the overall layout of the document, and how to print documents and the options available. The fourth course is about dealing with spreadsheets, be it on Microsoft Excel or on Google Sheets, both of which perform almost the same tasks, spreadsheets are not just for finding the sum for a group of cells, or finding an average for a particular column! The spreadsheets have huge features. We will try to cover the most important processes and math equations that we can use. We will learn about standard tables, use best practices in the preparation of equations and so on. 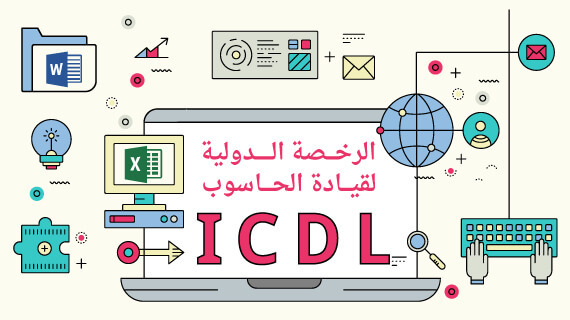 As mentioned earlier, ICDL is not only the four courses, it consists of more than 15 courses, divided into 3 levels: ICDL-Base, ICDL-Intermediate and ICDL-Advanced, and we will cover the first level in this specialization, ready to start? Register in the specialization and we will auto-enroll you in the four courses below. Word processing and dealing with text editors is crucial to all technology users, this course teaches all the skills needed to master text processing.